Jeremy graduated from the William & Mary School of Law in 2002, at which time he began exclusively representing property owners in eminent domain and property rights cases. He is now admitted to practice law in Virginia (2002), Washington, DC (2003), Tennessee (2010) and North Carolina (2017), and has successfully represented property owners, from Fortune 100 companies to individual business and homeowners, in all types of eminent domain cases in state and federal courts. Jeremy is admitted to the Supreme Court of the United States, and until relocating to Raleigh to join Cranfill Sumner & Hartzog, Jeremy was chosen to serve as Virginia’s only representative in the Owner’s Counsel of America, a group of attorneys (one from each state) recognized nationally as leaders in the practice of eminent domain. 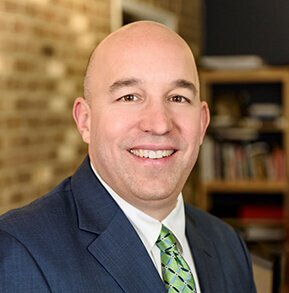 In addition to successfully representing property owners before the Virginia Supreme Court, Jeremy has extensive trial experience representing property owners in state and federal courts. Just before joining CSH, Virginia Lawyers Weekly reported that Jeremy obtained the largest eminent domain jury verdict in Virginia and the fifth largest jury verdict of any kind in the state that year.